Family Dentist in Grants Pass? Finding a great family dentist in the Grants Pass-Medford area should be easy because so many are wonderful people and talented doctors. But how do you choose between them? As a parent, you want the best for your family and you need to be able to trust your dentist and her staff. Dr. Sara decided to move to Southern Oregon for the same reason you live here – it’s a great place to raise a family. 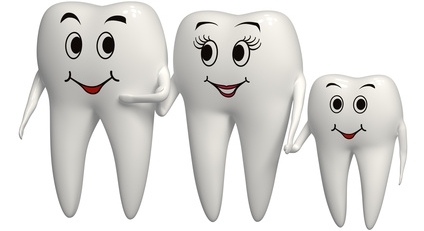 What do we mean when we say “family dentist?” Like so much else, dental health is a family occupation. It starts with good habits and hygiene at home, and it is parents who set the example for their children and make sure that the whole family has regular checkups. 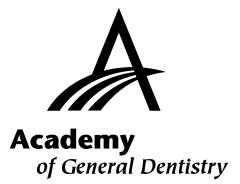 Our dental philosophy is simple: Prevention will make you healthier and save you money! Our staff loves to see “kids” from 0-99+. Many parents don’t know that infants should be seen when they get their first tooth or by their 1st birthday at the latest. This establishes trust and comfort early on with Dr. Sara, reduces dental fear and anxiety later on, makes sure that there are no developmental issues, and provides parents a chance to learn how to care for their children’s teeth: When do you start using toothpaste? How do you brush teeth on a wiggly toddler? Will your child need braces? What about removing wisdom teeth? We know that scheduling visits for the whole family can be time-consuming and challenging. Do you want your children to be seen at the same time? Does your youngest want to see their big sister or brother (or Mom?) in the chair first? Dr. Sara and her staff will work with your schedule and accommodate your whole family: infants, toddlers, children, teens, young adults, mom and dad, grandma and grandpa. Regardless of age and experience of the family members, Dr. Riechers gives everyone the time and attention needed in order to feel comfortable with care and treatment. This time and attention helps everyone to relax (and even have fun!) during their procedures, as well as making you feel empowered and educated when treatment decisions need to be made. For toddlers and children, Dr. Sara makes the process fun and exciting while educating them on the importance of proper oral hygiene. (Make sure to brush to get rid of those sugar bugs!) It’s not uncommon for parents to hear laughter and giggles during their children’s’ visits. For older kids and young adults, Dr. Riechers is able to become the “cool dentist” who can foster mutual respect and motivate them to care about their teeth. A wonderful smile can be an essential component of self-image and self-confidence. Parents and grandparents often want to make sure their concerns are addressed and questions answered. Dr. Riechers will spend as much time as necessary with each patient until he or she is comfortable and relaxed, which happens with discussion and education. Adult patients often comment on how easy, painless and relaxing their visit was and that they had never experienced a dental visit like it before. 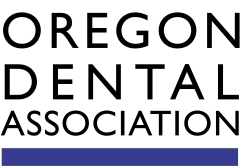 If you are looking for a family dentist in the Grants Pass or Medford area, give Compassionate Dentistry a call. We can schedule the whole family for a visit. We offer 50% off exams and x-rays on first visits. Just say you read about it on our website. This discount is our way of saying thank you for choosing us as your new Grants Pass family dentistry office.